"Series of around 2500 "special photographs" taken by New South Wales Police Department photographers between 1910 and 1930. These "special photographs" were mostly taken in the cells at the Central Police Station, Sydney and are, as curator Peter Doyle explains, of "men and women recently plucked from the street, often still animated by the dramas surrounding their apprehension". Doyle suggests that, compared with the subjects of prison mug shots, "the subjects of the Special Photographs seem to have been allowed - perhaps invited - to position and compose themselves for the camera as they liked. Their photographic identity thus seems constructed out of a potent alchemy of inborn disposition, personal history, learned habits and idiosyncrasies, chosen personal style (haircut, clothing, accessories) and physical characteristics." "Charged with receiving stolen goods to the value of 536 pounds 4 shillings and 1 penny, the property of Snow's department store." "Obtains goods from warehousemen by falsely representing that he is in business." "Illicit drug trader. Drives his own motor car, and dresses well. Associates with criminals and prostitutes." "Opium dealer. Operates with large quantities of faked opium and cocaine. A wharf labourer; associates with water front thieves and drug traders." 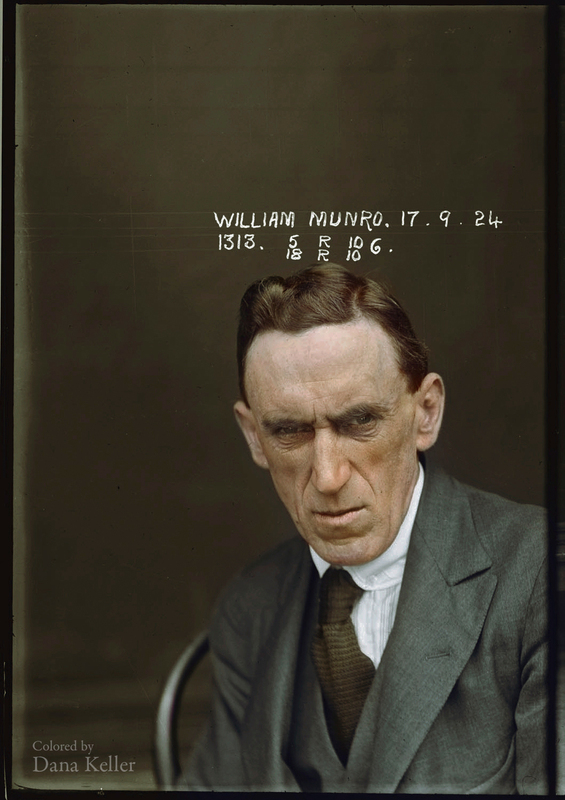 "Charged with breaking and entering the dwelling-house of Edward Mulligan and stealing blinds at value 20 pounds (part recovered), and with stealing clothing, value 26 pounds (recovered) in the dwelling house of Ernest Leslie Mortimer. Sentenced to 6 months hard labour."